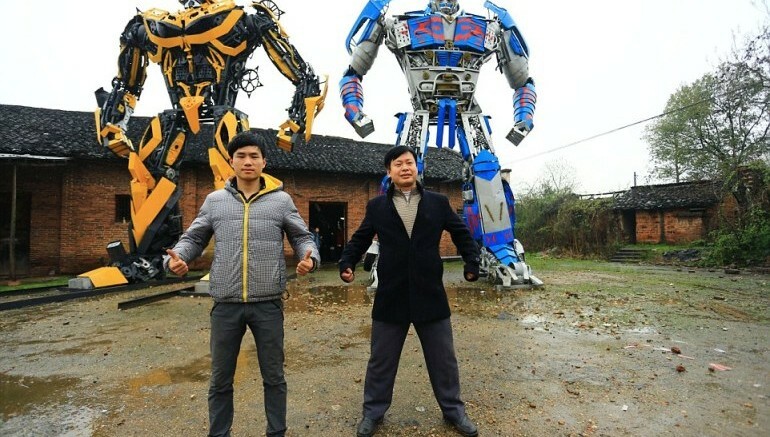 Chinese farmer-duo sells colossal DIY Transformers sculptures for a whopping $160,000! 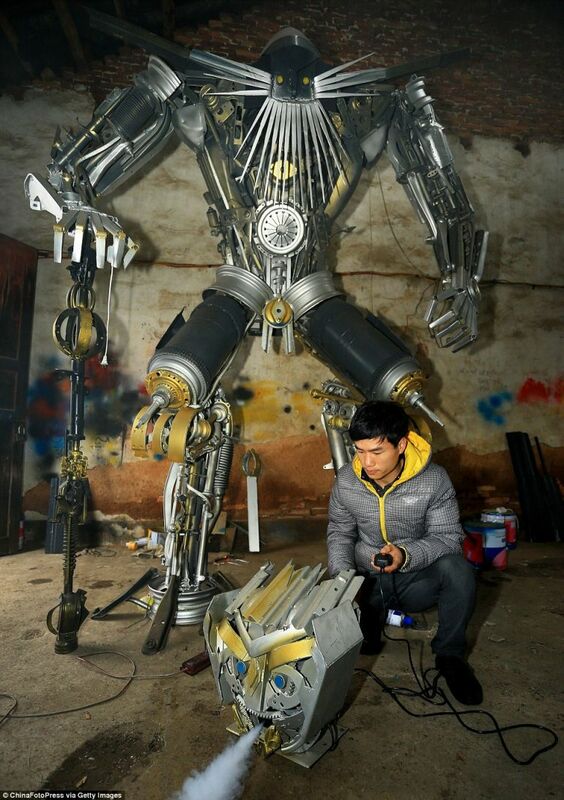 Previously, we introduced you to Danilo Baletic, an industrious young man, from Podgorica, Montenegro, who has been working alongside his scrapyard-owning father to create some of the most incredible Transformers sculptures. 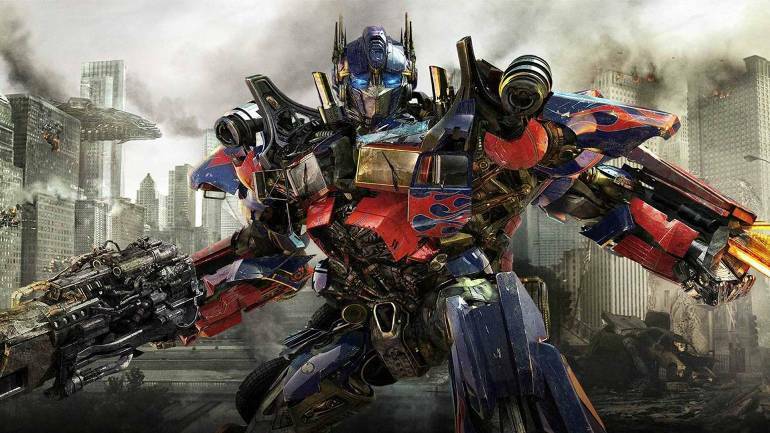 This time around, however, an equally-creative father-son duo, from China, has managed to entice Transformers fans all over the world. 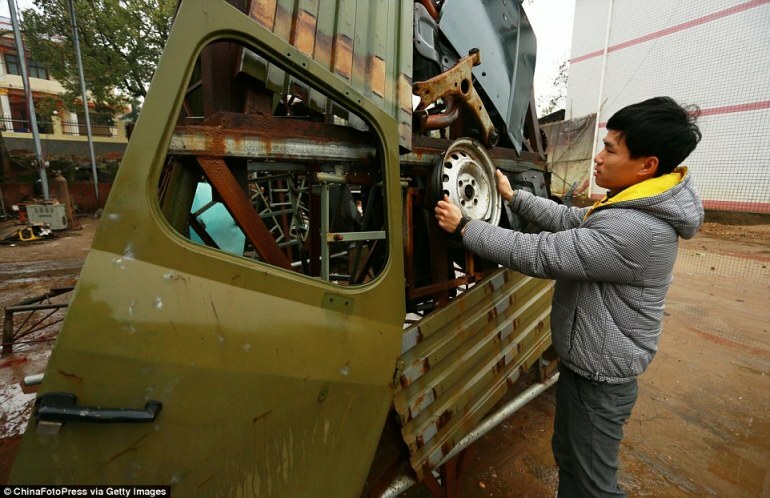 Yu Lingyun is a farmer just like his father, Yu Zhilin. 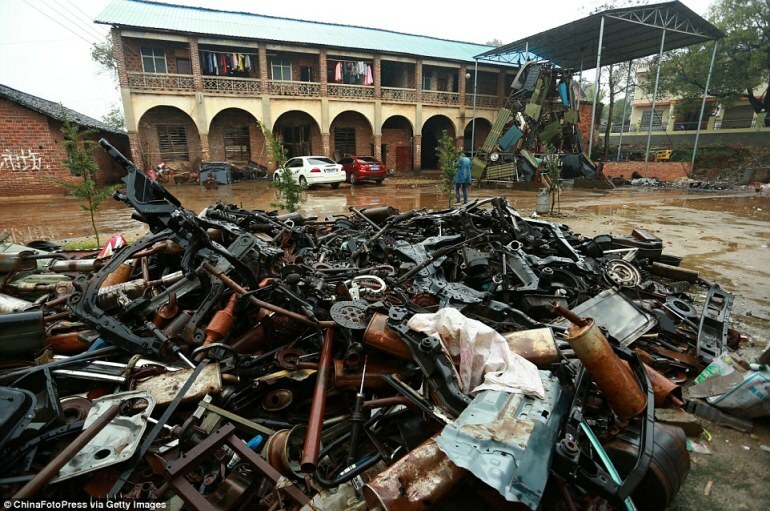 But he came upon the brilliant idea of building giant robots from scrap metal when he realized how profitable the project would be in a country like China – where the 2014 science-fiction sequel, Transformers: Age of Extinction, is the highest-earning movie in the country’s history. 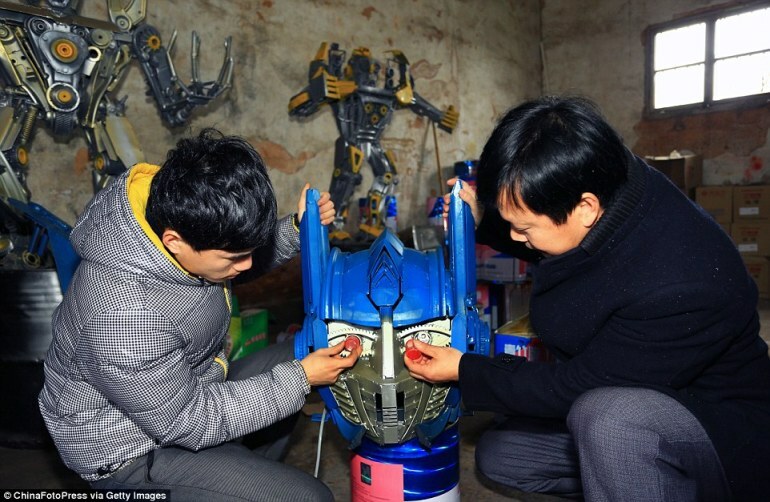 Since 2007, the pair has been collecting disused auto parts in the Hengyang city of Hunan Province, and recreating them into gargantuan replicas of Optimus Prime and Bumblebee. 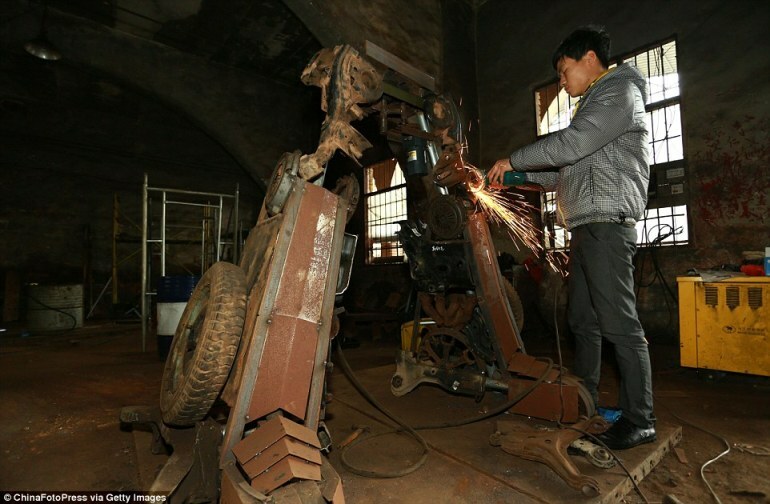 Interestingly, the accomplished DIYers went about the task of crafting these mammoth sculptures with the help of instructions acquired from the internet. So far, they have earned nearly one million RMB (approx. $160,000) from their creations.